(a) Install the No. 1 rear bumper reinforcement with the 6 nuts. 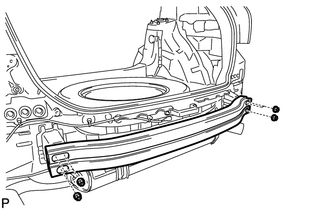 (a) Engage the 2 guides to install the rear bumper energy absorber. (a) Engage the 2 claws and install the No. 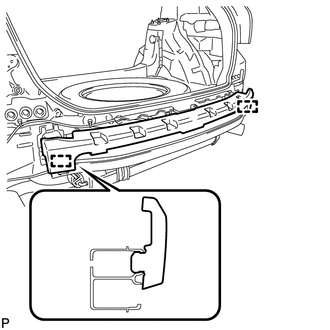 2 rear bumper side support LH. 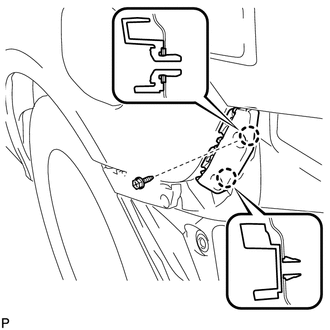 (a) Engage the 2 claws and install the rear bumper side retainer LH. 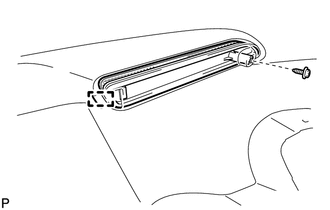 (a) Install the rear bumper spoiler LH with the screw. 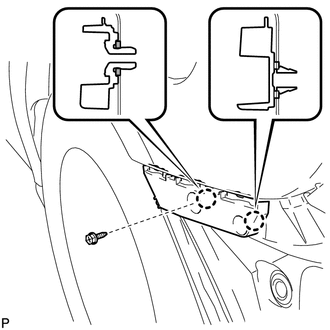 (b) Install the clip and outside moulding retainer. 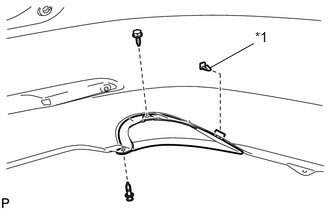 (b) Install the reflex reflector assembly LH with the screw.